Primary colors (red, yellow, blue) and the secondary colors (orange, green, violet red, orange and yellow) are warm colors. They are best used in sequence. Blue, green, and violet are cool colors. A warm color is always opposite a cool Color on the color wheel, and colors opposite one another on the wheel are contrasting colors. To use color on the outside of the house, here are some basic considerations to be taken into account. 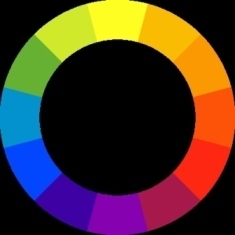 The color wheel is a good guide for obtaining pleasing color combinations. The architectural style of your house may help to determine the color selection. The modern style house may be painted a color tint (pale color) or a shade of a color. If the house as either brick or stone as part of the exterior construction and it has different shades of color within them, the house should be painted or stained with the same color schemes present in the brick or stone. The window trim should be painted the same color as the body of the house. For example, if the house is tan, the window’s trim should be tan also. Shutters may be treated the same as the window trim, or in the same color in a slightly lighter tint or slightly darker shade. The front door of the home is the focal point for the front landscape. Contrast the color of the front door to make the door stand out. The garage door should be treated with the same color as the adjacent wood, brick, or aluminum siding. This will take the attention away from it. Don’t paint it with contrasting colors or paint designs on it to make it the show piece of the house. The garage door is only for allowing the car to enter the garage. It is not the focal point of the house. The gutter and the roof trim should be painted to blend with the roof color, making the entire roof area fit together as a total unit. When choosing a new roof color, make sure that the shingle will fit into the overall color scheme of the house colors. A small house - Use light colors because they tend to make small houses seem larger. No sharp contrasting should be used, especially on the trim because this will “cut up” the house into small areas and defeat the objective of trying to make the house appear larger than it really is. A contrasting color should be used on a small defined area such as the front door to obtain a center of interest for the house. A tall house - Houses that are too tall for their over-all length can be visually lowered by using either a dark roof and dark painted roof trim board or paint roof trim and over- hang a dark color. Traditional houses- on the other hand generally are more conservatively painted. The cape cod cottage for example is usually painted white relieved by contrasting colored shutters. A red brick colonial styled house would be trimmed with white and with white columns. Blend house to its surroundings or setting. Houses should be painted so that they are related to their surroundings. Blend the house into the landscape. This is important as part of landscape design. This can be done by avoiding the use of colors in sharp contrast to the over-all surroundings. 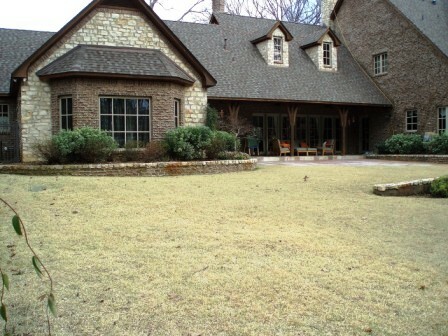 For example, wooded lots blend well with browns, olive-green and stained colors. Summary, the color scheme of your house will affect the curb appeal and the overall landscape with it will help dictate the home perceived value. Click The Link Above To Start Your Dream Design.